Please tell us how to kick the bee hive and have the honey too, without legs. This is going to be tough. I've been finding all sorts of fiber goodness surprises lately! 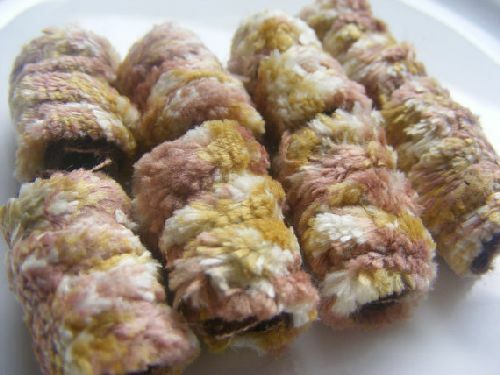 This beautiful tan and gold chenille fiber makes works into a snuggly soft bead with lots of eye appeal! This is a set of 8 fiber beads in big hole size.